Delay In Block Productions: bringing you the latest and greatest in high-definition railroad videos. Due to changes in the YouTube Partnership Program and the frequent usage of AdBlock, our AdSense revenue has dramatically decreased over the last three years. Because of the increasing loss in revenue, it has become difficult to offer free content of such high production value on YouTube. Some have suggested that DIB make DVDs for sale online, but I have discovered that in the digital age railfans are not willing to spend $30 on the latest DVD release from their favorite production companies. However, I have discovered that DIB’s most loyal subscribers are willing to support us by making small, monthly contributions through SubscribeStar. These contributions allow me to compensate for such great loses in revenue and I truly appreciate your support. I pledge to continue producing the highest quality railroad media on the internet — and with your SubscriberStar contribution, it will be much more obtainable! Feel okay about using Adblock on YouTube, knowing you make a monthly contribution to help keep us going. For the subscriber working their way towards an engineer's card. The subscriber class that keeps the trains moving! The subscriber class that watches over the railroad. You make sure we've got the right power to get over the road. The big boss. You help make sure our channel meets its goals every week! 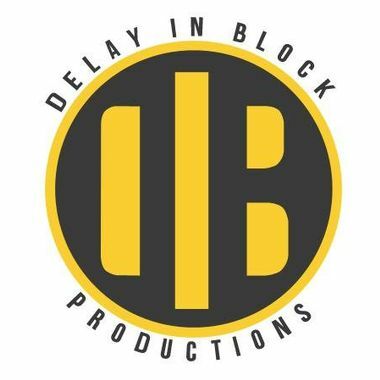 Premium DIB Subscribers will receive a free Delay In Block T-Shirt and Hoodie for their first contribution of $100. Ad-free guilt? With this basic subscription, you'll no longer have to feel guilty for using an advert blocker on YouTube. $450 per month would greatly enhance the quality of content on the channel.